Your confidence at the interview may depend even on the smallest detail: your lipstick, shoes, suit or dress. An employer’s languid or tense look at one of this detail is enough to arouse a wave of doubt about your look. Constant thinking of it may cause some nervousness or even worse a stutter during the conversation. Of course, you can avoid it just paying more attention to your outfit. For most job seekers, a dress code of your future employment company is an open and hot issue. That’s why we prepared these up-to-date tips to help you understand what kind of clothes are preferable to wear to your job interview. Make a good study about company’s dress code. Search in social networks, look through some company’s employees photos from the last corporate party. If there’re at least few people wearing suits, ties, white blouses and black skirts, then you can freely take your formal gown and be sure about your appearance. If your style excludes any formal attire, but you’re completely aware of company’s formal dress code from Monday to Thursday with only one day off for casual clothes on Friday, don’t spare to buy an expensive suit to make the first impression. Though if it makes you too much diffident and constrained, choose some formal shirt combined with new jeans and office manner shoes. On the other hand, if you can stand against the temptation to wear a new suit to meet with a new employer make yourself a mock interview, ask for the help of your friends or relatives to assist you. Try to walk, sit, get up and even shake somebody’s hand to make sure that everything goes right in that suit, and you feel quite comfortable. Do not try to show off if you’re not applying to a model agency. Too much gloss in your outfit may seem like a sign of your self-centeredness. Although it may be a good way to demonstrate your unique personality within exquisite style and taste in other cases. Use only little of your perfume. It may work against you when the interviewer hears not your smart replies and proofs of your proficiency level but the fragrance that mingles one’s thoughts. Besides keep in mind that some scents may even cause allergy, so it’s better not to wear any perfume! Make your hair and nails clean and neat. If you have long hair, make a knot not to seem coming more to a date. Don’t use too many accessories not to distract interviewer’s attention from your oral presentation about yourself. Too much bright red lipstick in the official atmosphere may imply a kind of aggressiveness. Try not to overdo with your make-up. Let it be more natural and calm. Keep your posture straight and language well pronounced. 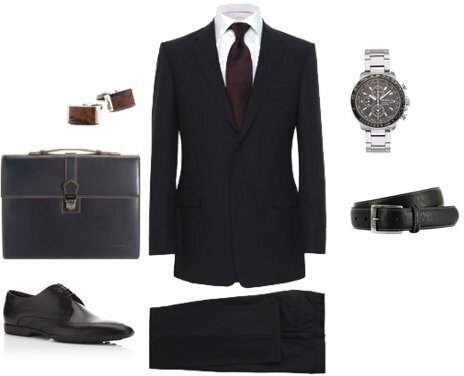 Let your outfit match to the personality equally appropriate for you and your employer.